to celebrate a new year, welcome new fellows, and open our 2015-2016 exhibit! 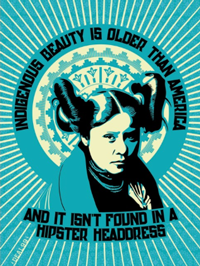 The prevailing images that we see of Native Americans are often antiquated stereotypes and do not reflect the diversity, vibrancy, or modernity of Native peoples. “Native inspired” trends and images are everywhere: in popular culture, fashion, hollywood, and music, and conversations about cultural appropriation have become more mainstream. Yet Native voices are largely absent. This exhibit at CSREA is curated by Adrienne Keene, CSREA/Anthropology Presidential Postdoctoral Fellow who has been a visible public voice on these issues, and brings together five Indigenous artists who directly engage the politics of Native representations, cultural appropriation, stereotypes, and invisibility: Nani Chacon (Navajo/Chicana), Gregg Deal (Pyramid Lake Paiute), Steven Paul Judd(Kiowa/Choctaw), Jared Yazzie (Navajo), and Sierra Edd ’18 (Navajo). ​These artists use traditional forms, playful humor, and recognizable pop culture icons to confront, reshape, and represent Indigenous identity in the 21st century. Narragansett Bay, Mashapaug Pond…these local New England waterways recall engineering reclamation projects, summer recreation and a particular kind of environmental thought around water. But they have another history, too, one in which is folded the lives and knowledge of the First Peoples of the region, of the Eastern Woodland nations, who have a deep connection with both the land and water. 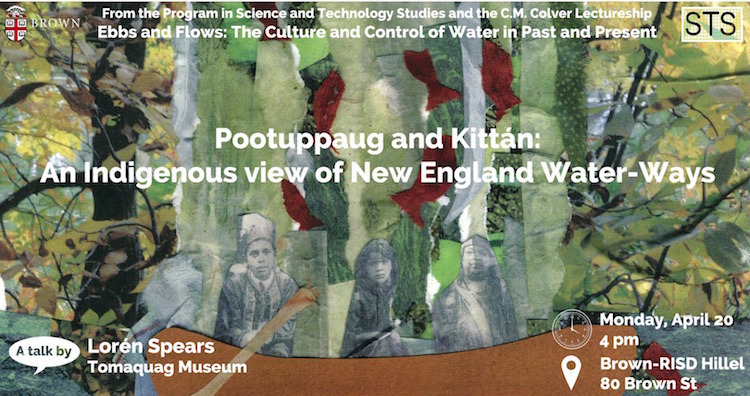 Beginning with a short introduction tracing some considerations about Narragansett Bay in the literature of colonial science and settler histories, this talk will recount historic and contemporary uses of fresh water and the ocean bays, aesthetic and spiritual meanings of those waters, and the impacts of colonization, industrialization and urbanization on all these, through indigenous eyes. The journey will take us from Providence…to Bermuda, and back. Big Picture Lafayette (Onondaga) visits Brown University! 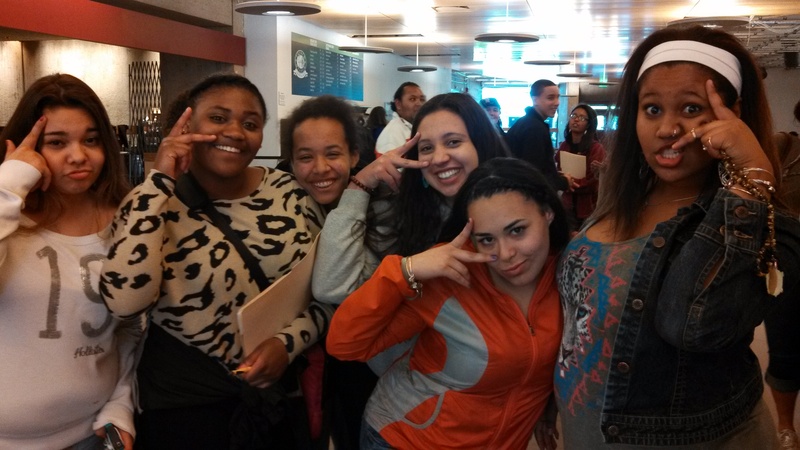 The Big Picture High School from Lafayette (Onondaga) in New York state came to visit Brown University on Oct. 17, 2014. 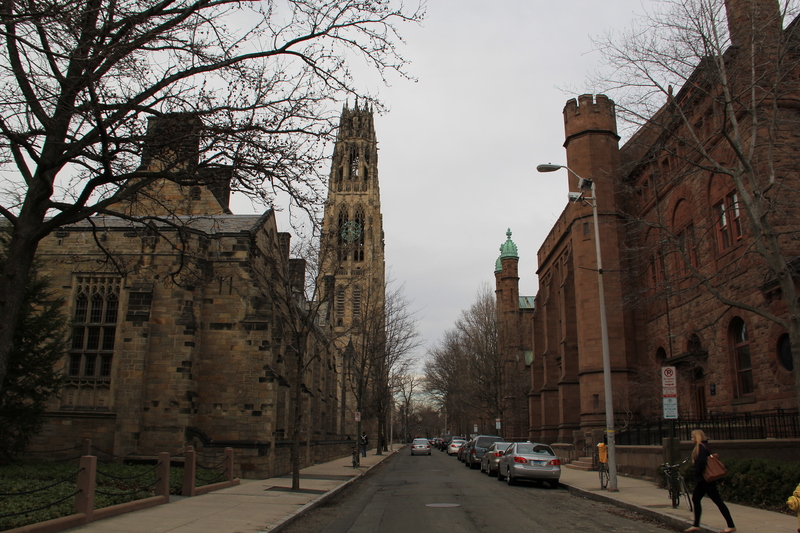 The MET School and Big Picture Learning Networks are also found here in Providence, RI and they were able to take students to visit Brown University students and faculty demonstrating a Native American presence and positive role modeling aspect for the BP youth. Students from the Native Americans at Brown (NAB) student group gave generously of their time and were supportive of these high school students to continue their education and share their own experiences while Native faculty also shared experiences of what it was like to be teaching at Brown. 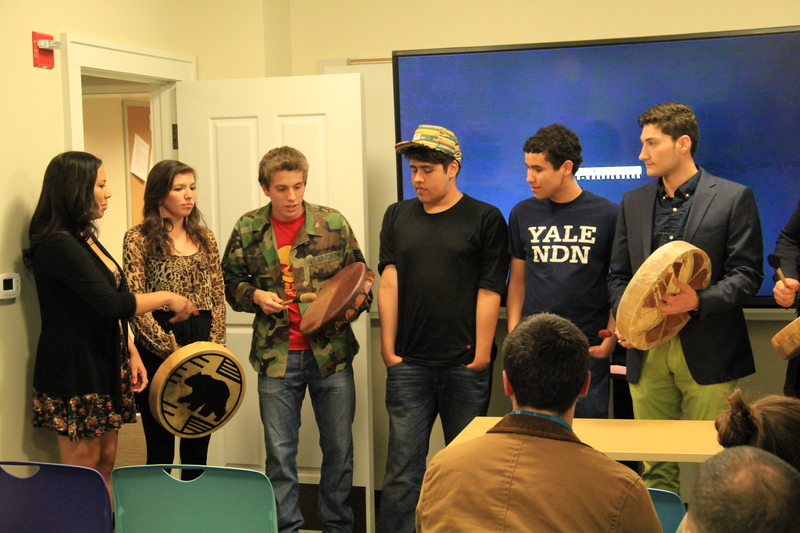 Native Americans at Brown (NAB) give a campus tour to BP students on campus. The Lafayette BP has traditionally been around 50% or so Onondaga tribal youth as students, as Lafayette is right out of the reservation boundaries. This is noteworthy as most schools have an average of less than 1% of a Native student population. 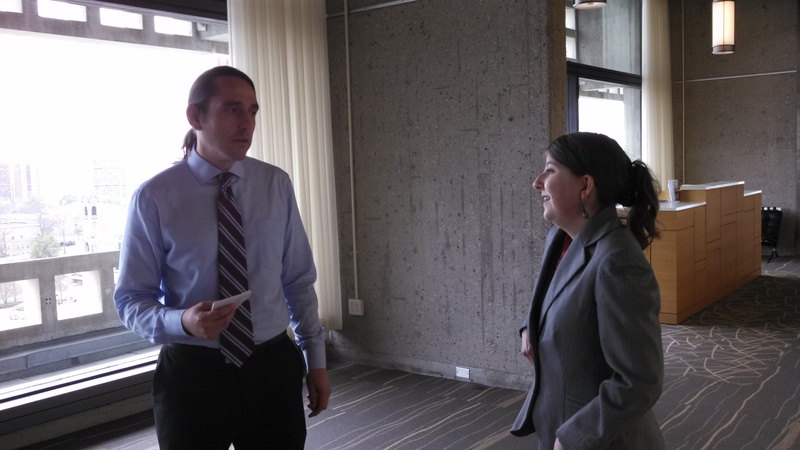 Having worked with Big Picture Learning Networks before and co-founding the Native Student and Family Wellness Initiative, we worked extensively focusing on and improving the Native American student experience in education involving family, community, advocates, and schools network for the wellness and success of our indigenous students, one of the most under-represented and under-served student populations in the country. We hope that their visit was a positive and uplifting experience and makes their visit to Brown something they want to keep in mind for their own futures, as well as any other continued education they are thinking about pursuing after high school. We emphasized that being either Native American or from Big Picture schools is a great thing because diversity of student body is something these schools want and their backgrounds, cultures, and experiences make attending an enriching and educating experience for everyone. Many thanks to the NAB tour guides and organizers David Stablein (BP Advisor) and Susan Osborn (BP Lafayette Principal). We wish them the best of luck for the future! 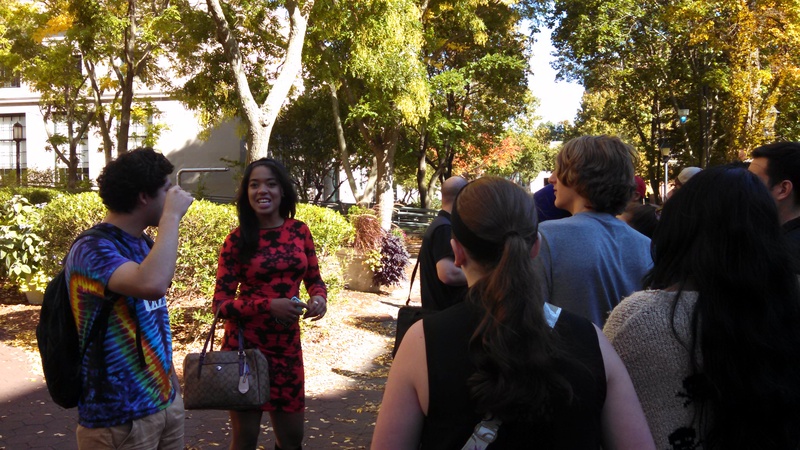 The conference center at Umass Amherst is filled with people from the campus and surrounding community. 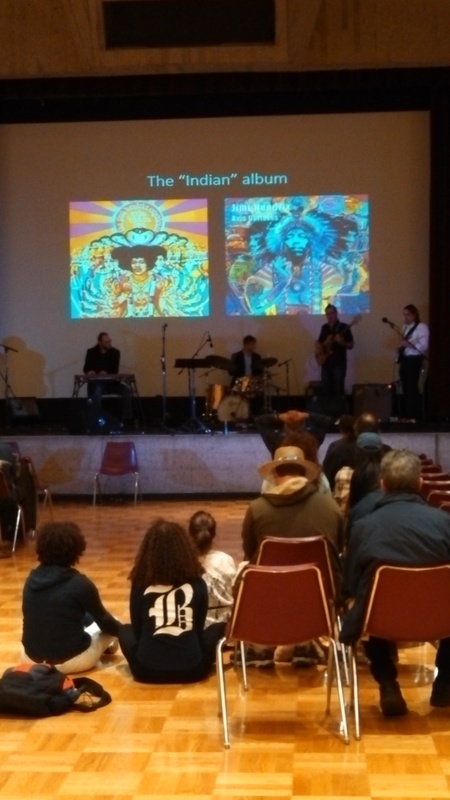 A great presentation about the intersection of Native American, African American, and Blues/Jazz music traditions and how they made some famous singers, artists, song-writers, and music that many people associate with American music today. Jon is also on guitar as pictured in the far right. Great job, Jon! Warren Griffin, a Native Tribal Scholars instructor, poses for the camera. 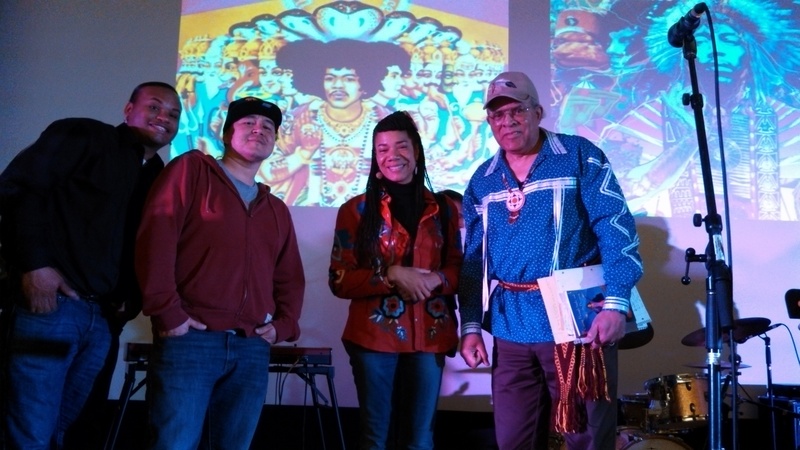 Also, with him are performers from the band “Red, Black, and Blues”, singer Martha Redbone, and poet/writer Ron Welburn. 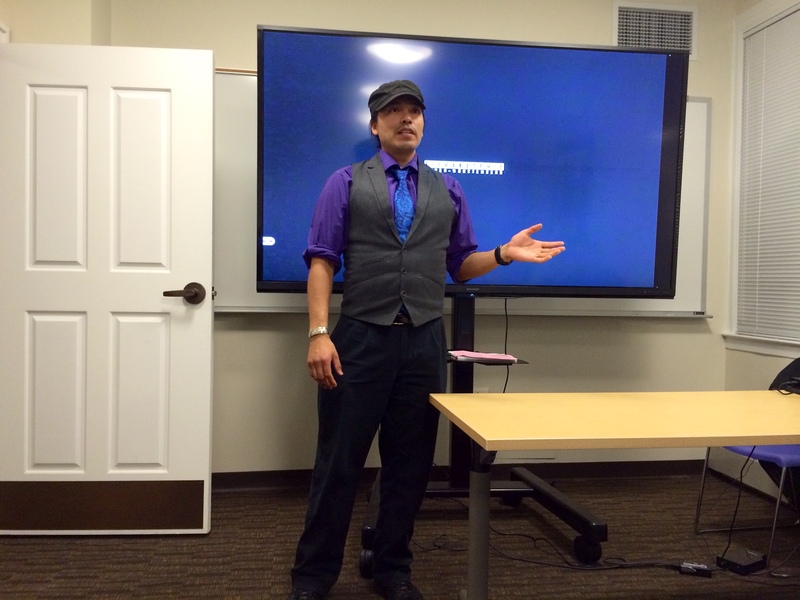 A group from the Native Tribal Scholars Program presenting with mentors at the UMASS-Amherst Conference. It was a gorgeous and sunny day at New Haven, Connecticut just after a snowy day had dusted the campus early the previous morning. 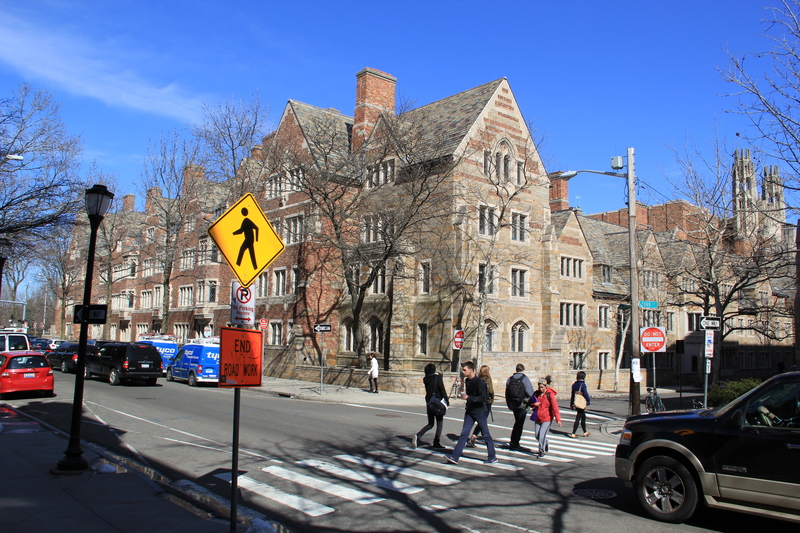 We were able to tour the campus and the Native American Cultural Center at Yale with all the interesting and deep history of the place and the town. 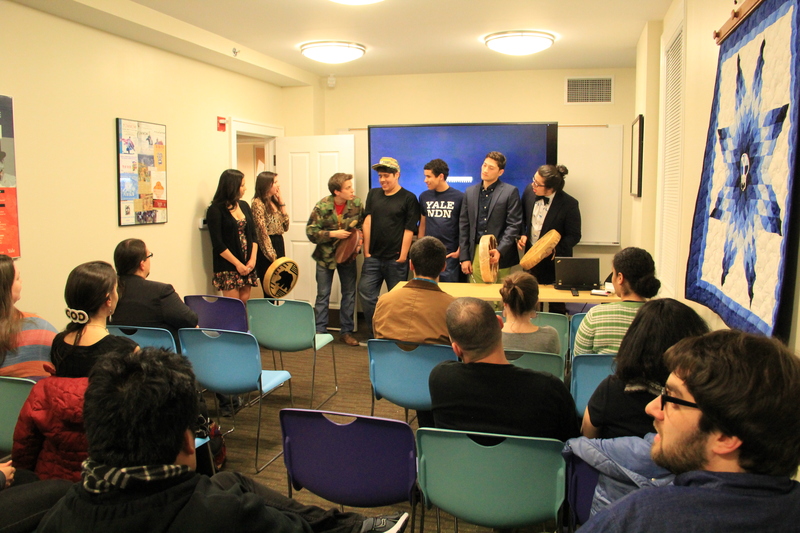 Thank you to the Native American Cultural Center and all the native students who came to support the film screening and the lecture by Brown University faculty! We want to especially thank Tyler and his organizing efforts and thinking of us to bring us here. All the students and faculty were amazing and very warm and made us feel comfortable with their welcome song by the Blue Feather Drum Group. Thanks to all who were able to come and make the trip to see us, feeding us with a great dinner, and asking great questions about the film!